Impressive Central West End mansion designed by Mariner & LaBeaume in 1909. This prominent home sits across from our beloved Forest Park & is in walking distance to restaurants, a movie theater, grocery stores, shopping & MetroLink. 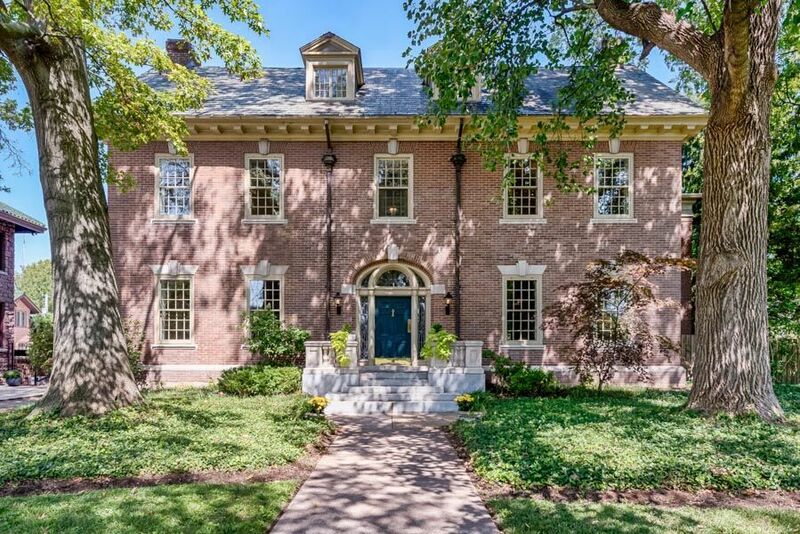 This home embodies the character & architecture of the CWE, while offering comfortable living for today’s families. As you enter through the outer vestibule with elliptical fanlights, you will notice the exquiste, marble-floored reception hall. High ceilings with elegant molding & 7 ornate fireplaces create gracious spaces. The superior kitchen includes granite counters, custom wood cabinets, breakfast area & butler’s pantry. A sweeping staircase leads you to the 2nd level featuring a newly remodeled master suite with a luxurious bathroom with soaking tub, dual vanities & separate shower. Enormous master closet. 2nd floor laundry. The 3rd floor is finished with extra guestrooms, baths & recreation room with kitchenette. Many of the windows feature original custom shutters that fold neatly into side panels. The parcel is over an acre with a salt-water pool, gardens, sweeping back lawn and 3-car garage.